Hydro Silica counts on the quality of its products and a more personalized service. That is why the company has developed tailor-made units for industrial cleaning and pipe cleaning to suit your needs. Triplex plunger design gives smoother fluid flow. High pressure seals are completely lubricated and cooled by the fluid being pumped. Inlet and discharge valve assemblies interchange for easier maintenance. Lubricated low pressure seal provides double protection against external leakage. Oil bath crankcase assures optimum lubrication. Close tolerance concentricity of the ceramic plunger maximizes seal life. 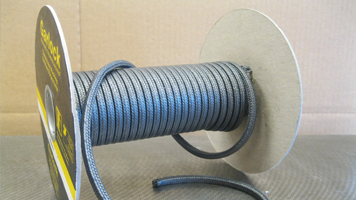 316 stainless steel, corrosion resistant, all Viton versions for special compatibility. Wet end is easily serviced without entering crankcase, requiring less time and effort. Valve assemblies are accessible without disturbing piping, for quick service. 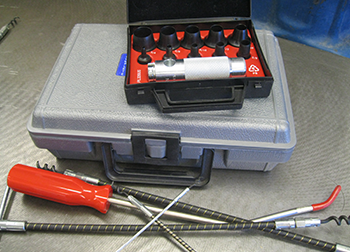 Preset packing means no packing gland adjustment is necessary, reducing maintenance costs. All stainless steel valves are heat treated and seats are roller burnished for a positive seal and extended valve life. Brass, stainless steel or nickel aluminum bronze manifolds for strength and corrosion resistance. Special hardened, polished surface of solid ceramic plunger is abrasion resistant and results in extended seal life. Specially formulated, high-pressure seal offers unmatched performance and seal life. Die cast aluminum crankcase provides high strength, minimum weight and precision tolerance control. Chrome-moly crankshaft gives unmatched strength and surface hardness. Oversized crankshaft bearings with greater loading capacity mean longer bearing life.